In 2018, Origin Fitness supported Denbigshire Leisure with the creation of an exciting functional zone within their Rhyl Leisure Centre. 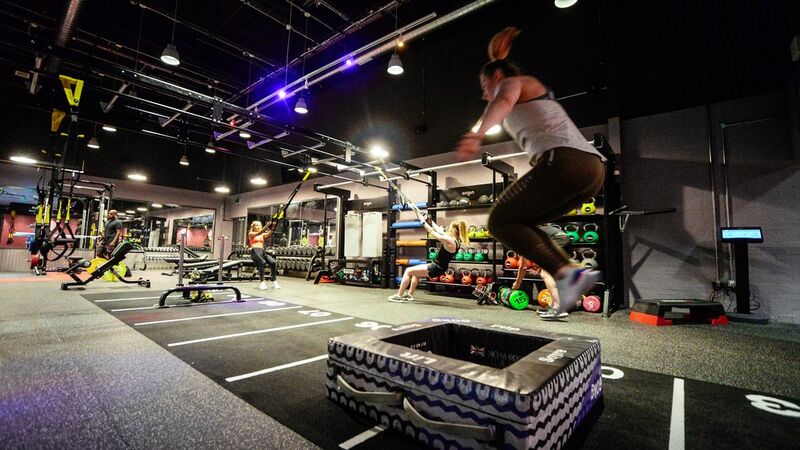 Following numerous meetings between Origin's Greg Walker and Steve Baldwin from the Leisure Trust, the space came to life and turned in to a one-of-a-kind training zone. The New Functional Space comprised of an Origin Modular Storage Rig with 7m Bridge along with a selection of carefully chosen attachments and accessories to support the rig and wider studio space. For Rhyl Leisure Centre, the team decided on a large selection of small accessories including Origin Coloured Rubber Kettlebells, Standard and Double Grip Medicine Balls, and 15m Battle Ropes among many others. Additionally, Origin Fitness supplied a Soft Plyo Box Set, Multi Sided Plyo box and Sqyres to complete the functional strength offering. 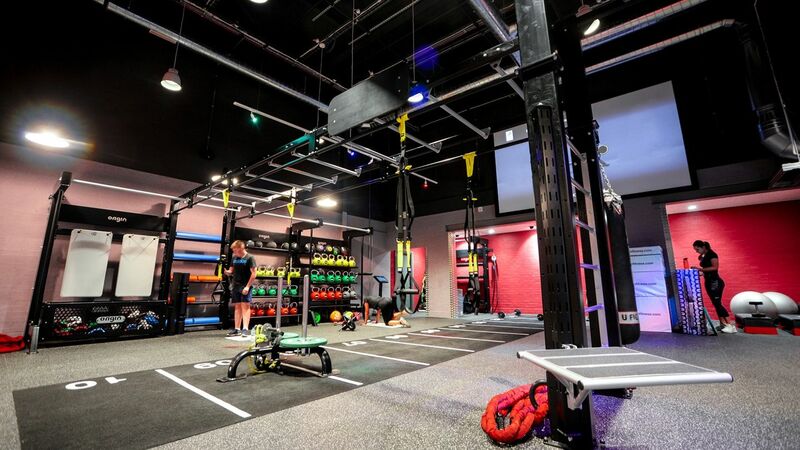 Additionally, a 20m2 Black Sports Carpet and integrated functional and free weight flooring was installed by Origin Fitness ensuring that all aspects of the new space had been considered from equipment to flooring. The 40mm High Impact Tiles don't just give the zone a modern look - they also absorb impact and reduce noise, creating a more pleasant workout environment and increasing the lifespan of the individual pieces of equipment. Origin has helped us provide a flexible space where customers can train alone, in small groups or in a class. The flooring is excellent and customers can train wherever they want without damaging the equipment or floor. 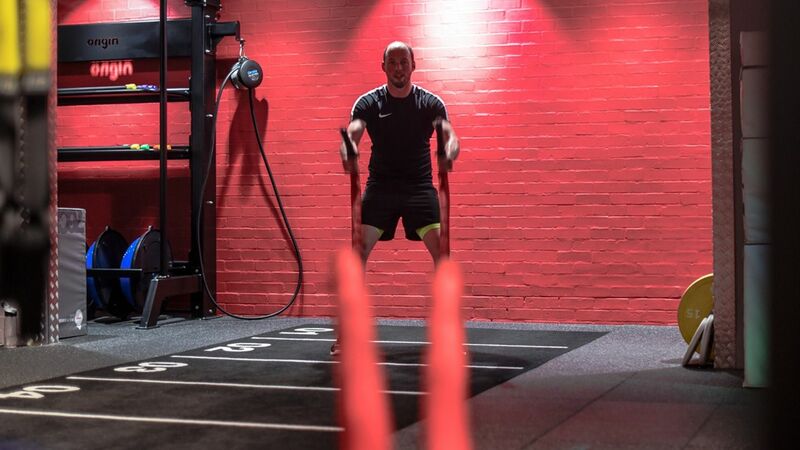 The Sports Carpet track has custom markings at every meter, ideal for sled work with the Origin Prowler Sled, but also useful as a circuit bay indicator, ensuring each circuit class participant has their own station within a larger class. All-in-all, Rhyl Leisure Centre has pushed the boundaries of what a Council Run gym's functional zone could offer its members, and proven that no gym should hesitate to welcome functional training zones within their wider gym floor area. We had a great working relationship with Origin Fitness prior and throughout this project. The training and after-sale support have also been excellent. Greg was a great help to ensure all of our needs were met. I would definitely recommend and use Origin in the future. To maximise the impact of the new equipment, Origin Fitness also provided on-site training for the Rhyl Leisure Centre Staff with one of their experienced Master Trainers. Including post-install equipment familiarisation ensures staff are confident in supporting members on the new equipment and makes the most of the investment made.